Give the gift of convenience with a customized SmartPocket to securely attach your credit cards to your phone. Save space in your pocket and purse by using the SmartPocket to hold your credit cards and license. 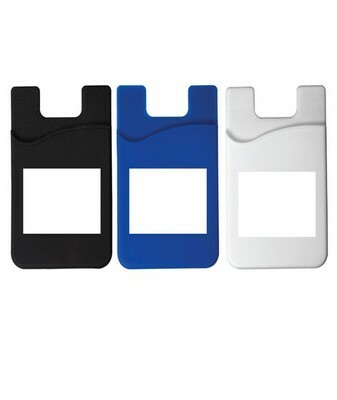 This pocket easily attaches to the back of most mobile devices with 3M self-stick adhesive. You'll love the convenience of having your cards and phone together while traveling or going out.